Vaccination – Vaccination from 8 weeks onwards is critically important for all pets, but even more so in Cambodia. Many of the infectious diseases that are so rarely seen in the West are still rife here in South East Asia, and can have devastating consequences if your pet is exposed. Viral diseases of dogs and cats are extremely challenging to treat once they are already showing signs of illness, as all we can do at this point is offer supportive care, and many of these unfortunate animals will not pull through. Some of the diseases, such as rabies, are communicable to humans and fatal if contracted. Prevention with an appropriate vaccination schedule is the only way to avoid these diseases. Neutering – Castration and spaying are vital not only to ensure there are no unwanted litters of puppies and kittens, but also for the life-long health of the animal. Castration of male dogs and cats eliminates the chance of testicular tumours, and reduces the incidence of perianal tumours, prostate problems, and perianal hernias. It also has some behavioural advantages – castrated cats and dogs are less prone to aggression and less likely to wander off in search of females on heat, and male cats are less likely to spray urine around the house. Spaying of female dogs and cats eliminates the chance of them developing pyometra (an infection of the uterus), uterine and ovarian tumours, and greatly reduces the risk of developing mammary gland tumours later in life. Pet Travel Services – Many of the clients we serve will eventually leave Cambodia, and traveling with your pet can seem like a daunting and expensive prospect with so many regulations to follow and numerous conflicting sources of information. 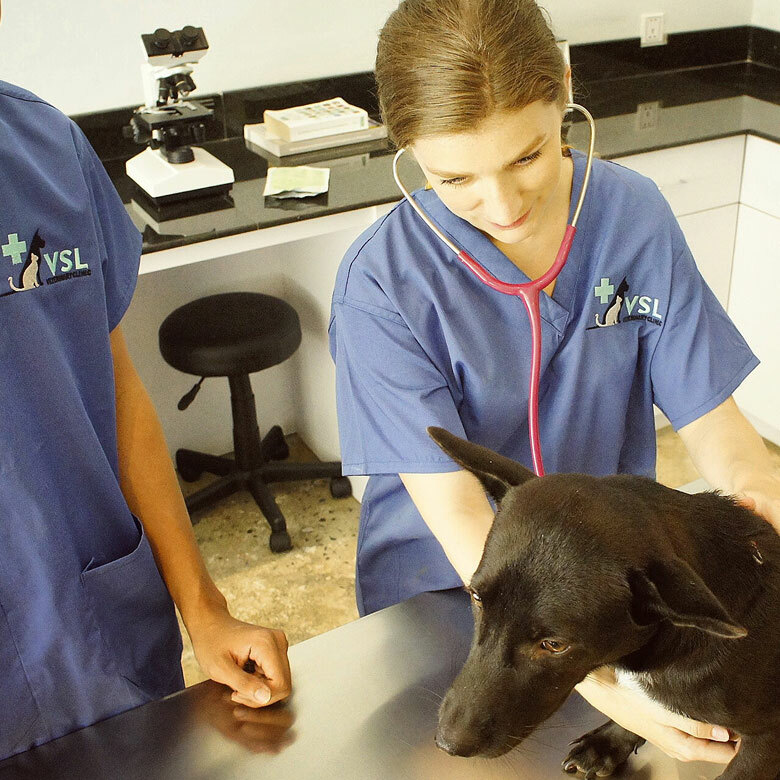 Here at VSL we are happy to discuss the veterinary requirements with you and try to break the process down into straightforward and manageable steps. If you know that you will be traveling with your pet in the future, please enquire at the earliest possible stage as it is likely that you can start the preparations from when your pet is a puppy/kitten, in order to help spread the cost and number of veterinary visits required.